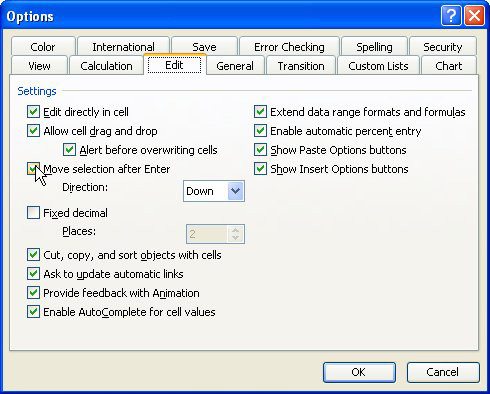 When you press the Enter key in an Excel worksheet, it normally drops you down to the next cell in the column. But it doesn’t have to be that way. 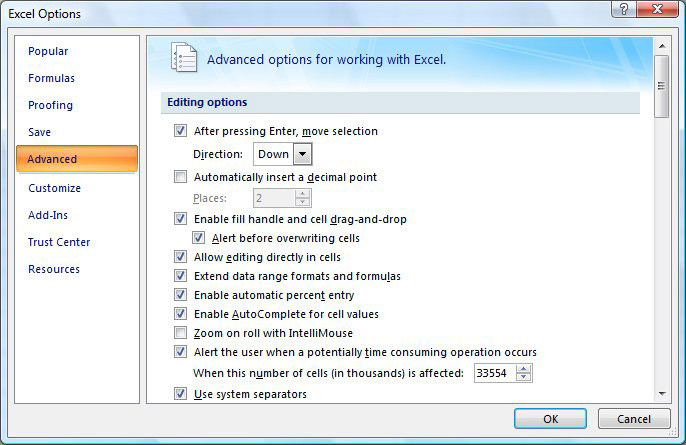 Excel allows you to specify to which cell the selection goes after you press the Enter key, or whether the selection remains unchanged. Select the Edit tab from all those bewildering tabs. If you don’t want the selection to change, clear the Move Selection After Enter box. Otherwise, make sure it’s checked. Use the Direction drop-down list to specify the direction the selection should move after Enter is pressed. 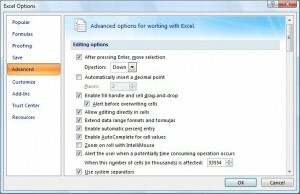 Click the Office button and then Excel Options down at the bottom. This technique applies to all Excel workbooks. If you want to change the Enter key’s behavior on a single workbook but leave the default setting alone on all others, you can use a macro saved in that particular workbook. You can change “x1up” to another direction constant, i. e., xlDown, xlToLeft, or xlToRight. 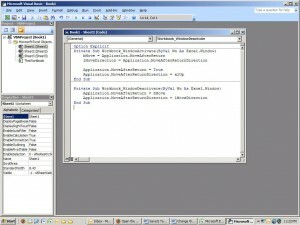 To add this code to a worksheet, press Alt-F11 to open the VBA editor. Select the thisWorkbook object in the editor and paste the code into the editing window. Change the direction as needed before saving.